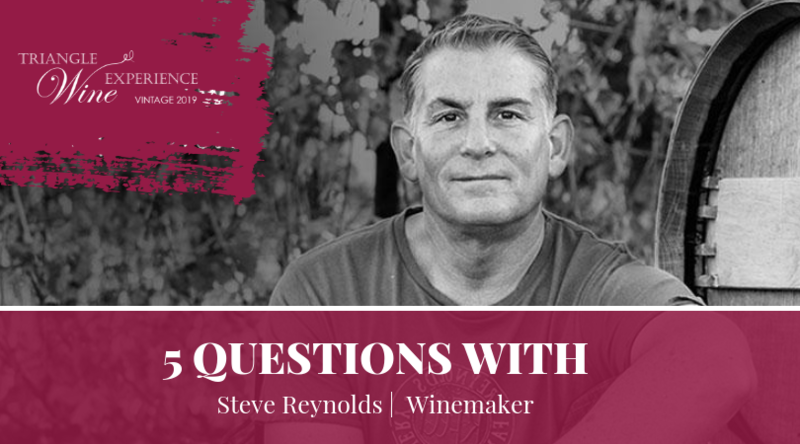 One of our most charismatic and giving winemakers is the legendary Steve Reynolds. He has supported us since 1999 and plays a pivotal role with Triangle Wine Experience each and every year. Steve also concocted a custom blend of wine just for Frankie Lemmon that was featured at our ‘Cue For Cali Fundraiser this summer. I bet half the world knows this answer – certainly anyone that’s come do a wine dinner with me!! Margaritas and Tequila….but of course! I might go a step further and say Penta tequila. Super tough…I have recently decided to do both. Lake Tahoe! Beach and Mountains!! Why because I like cake and eating it too. I do love the coast however and a cold beer or margarita as the waves crash in is pretty darn tough to ignore…and that is any beach with sand between my toes. 3. Favorite mantra or words to live by? An old Doobie Brothers song I heard and it always kept me going no matter how hard it got. Quitting is the end game – it’s always an option. Good to have options you don’t take. 4. Biggest influence on your life? I would say my Father for sure. He taught me so much about being “real” and what defines you. He was amazing at everything he did, sports, business, career but actually more amazing at sharing his time, love, compassion and humility with anyone – especially his family. Hard work, your word and the family and friends that surround you – are enough to get through anything in life. I miss him every day. (Of course my MOM as well!). 5. How did you get involved with Frankie Lemmon? I happened to run into Eliza at Sullivan’s Steakhouse one night, many moons ago, and I was hooked. To donate (which we all do) but feel like you are part of “something” and make a difference in people’s (families) lives is why we all come once and stay forever.